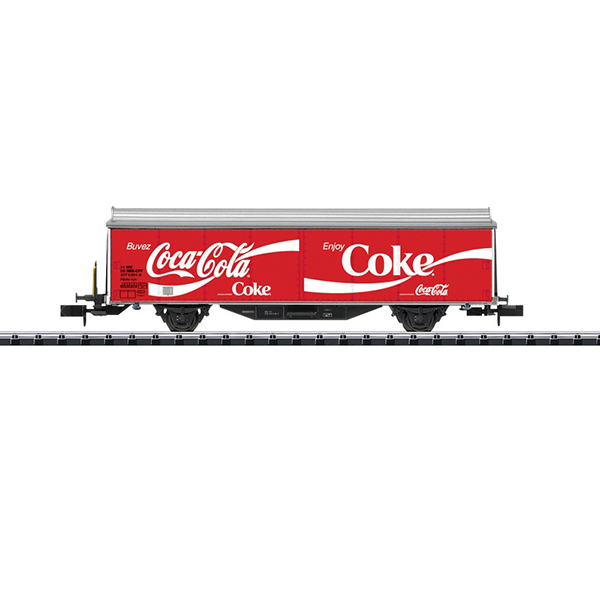 Prototype: Sliding wall boxcar with special advertising design for the Coca-Cola® Company, used on the Swiss Federal Railways (SBB). Model: The car has a close coupler mechanism. Length over the buffers 91 mm / 3-9/16".